Over the last several months, John and I have been focused on reading 5 books for our adoption agency’s required reading list. We are to read the books and then send in a short summary explaining what we got out of the reading for the agency to keep with their records. These books are considered to be part of our education process – and will be followed up by 2 all day classes (May 1st and September 25th) at the agency office. Dear Birthmother: This book was the first one that we tackled because we thought it would help us understand the communication that we would be having with our birth mom over the 18 years that our child is growing up. I think when we started reading this book – both John and I were unsure if we were ready for the concept of open adoption – mainly out of fear and not knowing what it could be like. I truly felt more prepared to write my initial letter to the birth mothers to look at as a part of our adoption profile. The book is an equal amount of explanation of the concept of open adoption as well as showing some really poignant examples of letters shared between actual adoptive families and their birth mothers… and from birth mothers to adoptive families. It is an interesting bond that is formed in this process, and I look forward to sharing that with the special woman that chooses us for her child. Good Grief: This is a very small book – it took me about an hour or so to read it. 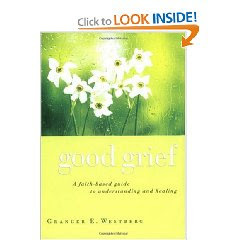 I would HIGHLY recommend this book to anyone going through any sort of major life change… or any type of grief. I found this to be an interesting reflection on the process that I went through emotionally during September and early October. I grieved briefly each cycle that we went through the infertility treatments when we'd get so close, but the cycle would be cancelled before being able to go through the entire process. Ultimately, I grieved the loss of the opportunity to have our own child through medical intervention. I went through each stage - I can remember each stage at varying times of the process going from anger, denial, depression, and finally coming to accept that our family might be brought together through other methods as part of God's will for us. I know that having gone through this process – and even sharing it with all of you through the blog has certainly made me a stronger woman! 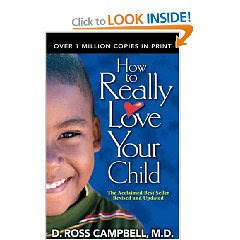 How to Really Love Your Child: This book was extremely enlightening for me… it changed the way that I think about some things. I have to say that I really enjoyed this book - it opened my eyes to things that I hadn't thought of before. The idea that children who act out are missing out on feeling completely loved, was certainly an eye opener. I have always heard that when children need attention, they will sometimes act out just to get someone to react to them... because negative attention is at least something. So to think of it in terms of the child missing some critical form of love was different, but it really makes sense. The real life examples used in the book helped me to understand where these ideas might be able to fit into our own lives, and it also explains some things that I've wondered about with a few of the children in our lives that seem to be more strong willed than others. I think that the most important role of the parent is to make sure that the child feels loved - unconditionally - and that takes many forms. I know that it won't always be easy, but I want to do my best to make sure that whenever our child acts out in any way that we stop and make sure that we are giving them enough undivided attention, eye contact, and touch. It seems so simple, but when we are caught up in the daily struggles of everyday life - it can get away from you, but it truly is the most important thing in the world - to love and show love to your children and spouse. It will my goal to make sure that our children always know they are loved in every way that I can, and to stop and think about why my children might be acting in ways that aren't normal before disciplining or correcting them. 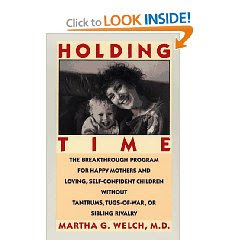 Holding Time: For me the jury is still out on this book – I’m about half way through it, and the basic idea is about having a deeper connection with your children through a special technique of holding them. This technique involves holding them in such a way that you are forced to make eye contact with them and deal with any and ALL emotions that they are feeling – often this starts off with the child fighting against the holding, but when the session is complete… you’ve moved from that initial fighting to a resolution that brings about a deeper connection for both the mother and the child. This can be used with children of any age, and is typically used with toddlers and older children because sometimes the lack of complete dependence on the parents can create a loss of some of the initial bond that you form with the baby when they rely on you completely for all of their daily needs. I think I personally am still a little resistant to this book because the concept is completely foreign to me, but I am trying to have an open mind – and maybe when we have a child that is a little older than the baby stage… I will see the need and benefits of this technique. 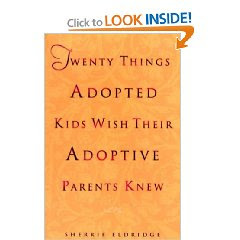 Twenty Things Adoptive Kids Wish Their Parents Knew: I haven’t started this book yet – we were advised to read it last of our 5 books because it can be the scariest of them to read. It goes through 20 potential things that adopted kids might have going through their minds at different stages of their development. I’m interested to see if John has ever thought of any of these things in his life as an adopted child, but I am grateful that we will have his experience – and the experience of several of his cousins as well as my little brother and sister to draw from if our child ever has any questions about why they were put up for adoption. I also hope that we will be able to keep an open line of communication with the birth mother to help with these things as well. 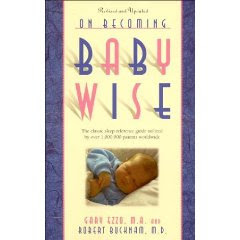 BabyWise: This book comes highly recommended by our pastor’s wife, Lisa as well as John’s boss. Apparently it helped John’s boss and his wife get their baby sleeping through the night by 8 weeks of age. I’m sure that I’ll start reading it as soon as I get done with these others – because I’m certainly interested in getting some good quality sleep in for all of our family! Baby 411: This was given to me as a gift by another adoptive mother – she has a 5 month old now, and says that she still refers to it daily. It seems to be a bit of a reference guide on all things baby – including an entire chapter devoted to poop! Oiy! I’m sure that when we bring a baby home – we will find this book to be extremely useful! 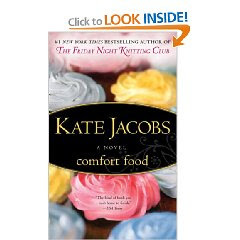 Comfort Food: This is by the lady, Kate Jacobs, who wrote Friday Night Knitting Club – which is a phenomenal book. This book is centered on a group of people involved in a television cooking show instead of a knitting club, but it is equally good! This writer has an incredible way of writing characters that you care about and want to get to know… I am really enjoying the story line and it is a great book to read when I just can’t think about the adoption process for a little bit during my day. That's pretty much what I do with my time these days in between working, meetings for the adoption, and sleeping... so are there other books you can suggest for me? I'm a children's author. I have a blog for people who like to write. Please come visit! Do you really NEED any more books to read right now? I have one other to suggest - the Bible. Refer to it often for the wisest of wisdom on rearing your child God's way. :) I refer mostly things like discipline and love, of course. Because God's way will always be superior to the ways of the world! 1)The Secrets of the Baby Whisperer by Tracy Hogg...very similar to Baby Wise, but better explained, and she helps you understand your child's personality and make changes to your approach if necessary, whereas BW doesn't really help you if your baby doesn't fit the mold. My 4th one surely didn't and it was TSOTBW that helped me figure him out. Nearly every page of that book is dog-eared! 2) Parenting with Scripture by Kara Durbin (a friend of mine, actually) a fantastic resource comprised of a topical index with relevant scripture and activities to help you in correcting and training your child. I've used it with my kids as young as 2 years old. GREAT BOOK! That being said, there's nothing that will teach you about how to raise a child better than your experience. Books are helpful so use them as your guide when you don't have a clue, but your momma instinct is better than you think it is, so trust it! All the parents I know who have read Baby Wise swear by it. So it is probably a great one to read. 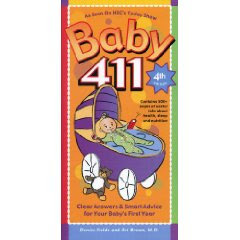 Baby 411 was recommended by my Pediatrician, and I can tell you that book saved Darren and I when we had Cassie, more than a time or two. Now, I never go to a baby shower without one! It's both factual and humorous and was spot-on each time it was referenced! I really liked the book Comfort Food! !